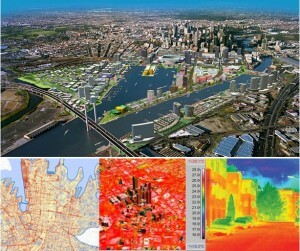 A new alliance means mapped ‘big data’ will soon help Australian industry, business and government organisations make smarter infrastructure plans and decisions, helping our cities meet their future challenges and saving significant costs. PwC and the Australian Urban Research Infrastructure Network (AURIN) have announced an alliance agreement to bring together their respective problem-solving skills, analysis tools, data assets and consulting skills for clients in the Government, Educational and Private sectors. This research-industry alliance complements many of the priorities and approaches of the Turnbull government’s recently announced innovation statement, such as leveraging the available data from the Australian Government. “The agreement between PwC and AURIN is a great example of how government investment in research capability can benefit business and industry, as well as its primary customer base, the academic research sector,” says Andrew Dingjan, Director of AURIN. Australian cities are frequently named among the world’s most liveable, thanks in part to the good infrastructure decisions of the past, like Melbourne’s arts and sports precincts; Sydney Harbour Bridge providing transit for trains, cars, cyclists and pedestrians; the inclusion of extensive parklands for fresh air and recreation in Colonel Light’s plan for Adelaide; and Melbourne’s sewage system and Western Treatment Plant in Werribee— still treating water and preventing disease over a century after it opened. Many private and public sector organisations are facing greater challenges in planning their future infrastructure and service delivery networks, trying to meet increasing client or customer demands with tightening investment and operational budgets—for transport, health, banking, utilities, retail and other services. Location matters. Geo-spatial information—knowing exactly where economic activity is centred and where its impacts and benefits are felt—is vitally important for urban planning, and for targeting infrastructure projects towards where they are needed most and where they will gain the best social and economic outcomes. In the professional services sector, PwC has been an early adopter of geo-spatial analysis as a means to enhance the sophistication of infrastructure and service planning for its clients, modelling exactly where customer demands are likely to grow strongest and how best to target infrastructure and service investment with constrained resources. 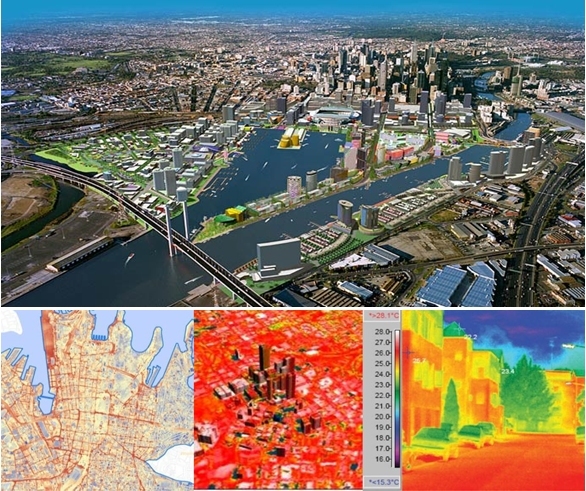 AURIN provides urban researchers with easy access to over 2,000 data sets from 40 providers, organised by geographic areas, and was established by Federal Government funding under the National Collaborative Research Infrastructure Strategy (NCRIS). John Studley, leader of PwC’s analytics practice, says the new relationship with AURIN will add value and credibility to their geo-spatial planning work. Andrew Dingjan similarly lauds the new working relationship. This entry was posted in Announcements, Business, Latest News. Bookmark the permalink.